Last week's Japanese software champ, the brand-new Wii Party, had its first place festivities cut short this week after a strong showing from two other games, both on Nintendo's platform. 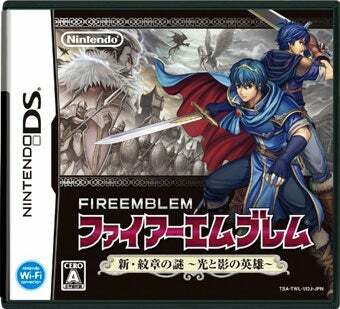 Nintendo DS remake Fire Emblem: Shin Monshou no Nazo Hikari to Kage no Eiyuu reigns supreme this week, with Dragon Quest: Monster Battle Road Victory, an arcade to Wii port, coming in second. The sales figures may make it look like a tie, but according to sales tracker Media Create, the Fire Emblem re-release oustold everything else. Konami's latest baseball game, Jikkyou Powerful Pro Baseball 2010, and Capcom's new RPG Last Ranker also managed to crack the top ten. You can see for yourself by checking the full top 30 bestselling games below.